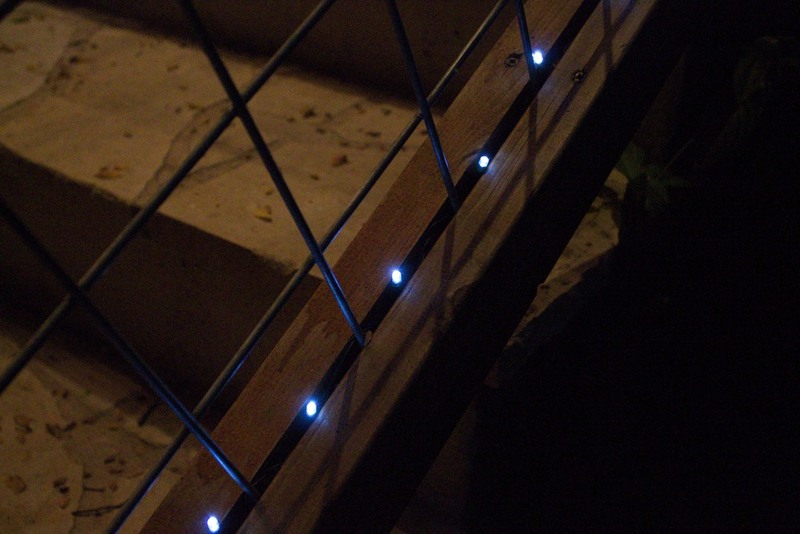 I got an email from one of the coupon websites the other day that had a special on LED, solar powered, twinkle fairy lights. Twinkle fairy lights? How could I pass that up? I always seem to have a couple of places that need lights during the holidays but there isn't a plug nearby, so I thought these would be perfect. I ordered 2 strings of 200 lights in white, then waited for them to arrive. They got here the other day. The first thing I did was put them out in the sun to charge. Then I realized it was the middle of July and I had nothing I could do with them for several months. Or did I? I decided to try them out on the deck. First, I stuck the solar panel in a pot at the bottom of the deck. 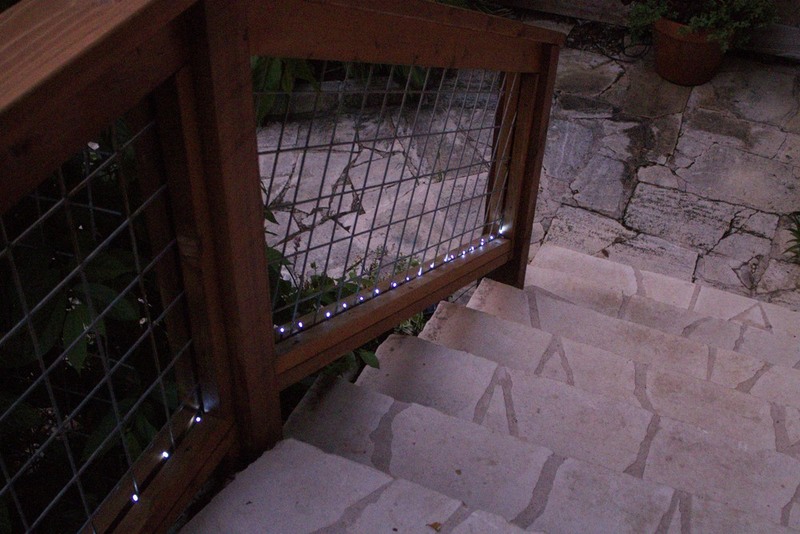 Then I strung the lights at the base of the railing. 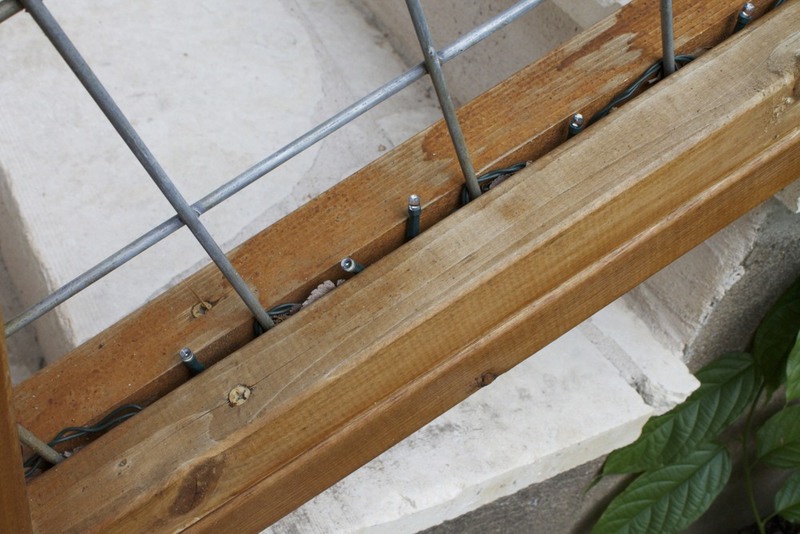 There was just enough space to push the wire into and it wouldn't show, and the length was perfect to cover the bottom railing all the way around the deck. I couldn't have planned it any better if I had tried! If you didn't know they were there, you wouldn't know they were there. They are practically invisible. Next I just had to wait until it got dark out so I could see how I liked it. I do! My only disappointment is that I forgot how blue the white LEDs look, but that's just something I'll have to get used to seeing. Other than that, it's a nice little twinkle for the deck. Now, what to do with the second string? Posted in Outside The Home and tagged with lights, deck, LED, twinkle fairy lights. September 5, 2013 by Lynn Adams.